Their rep is also saying that they intend to support internal yuv422 format as well as hevc - recording to CFast as has been mentioned, but he also said that they are looking into supporting SSD via USB. That'd be nice to cut down on media costs since you'll burn through your CFast cards fast at 1.6 gigabits/second. @Vitaliy_Kiselev Agreed... It looks like they are trying to please all (annoying) camera nerds out there (myself included). I would buy one. When the price drops. Interesting. 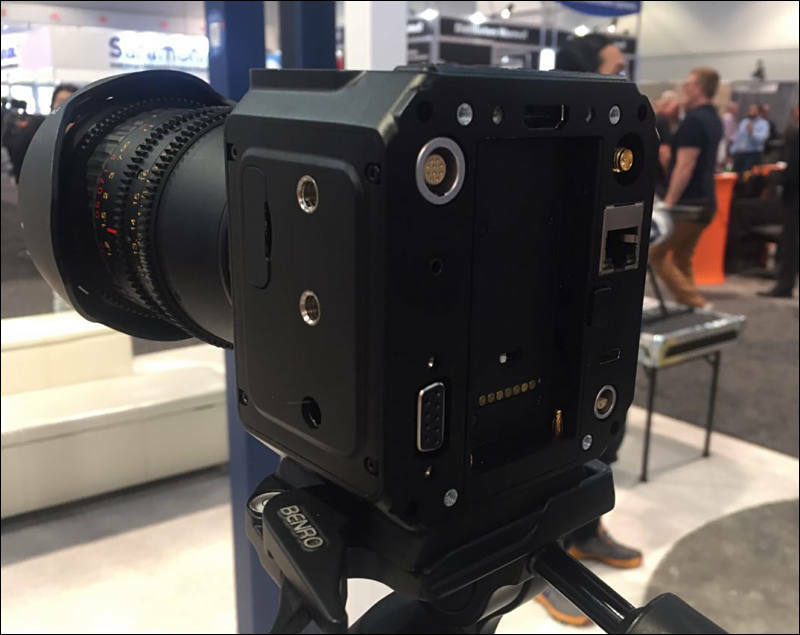 Many have promised to implement global shutter but no one seems to have done it well yet (aside from a few rare exceptions such as F55 or Digital Bolex). When asked about crop factor, the Z-Cam guy said "You can refer to GH5s"
We use Sony latest M43 sensor with BSI technology embedded and it's video oriented sensor. 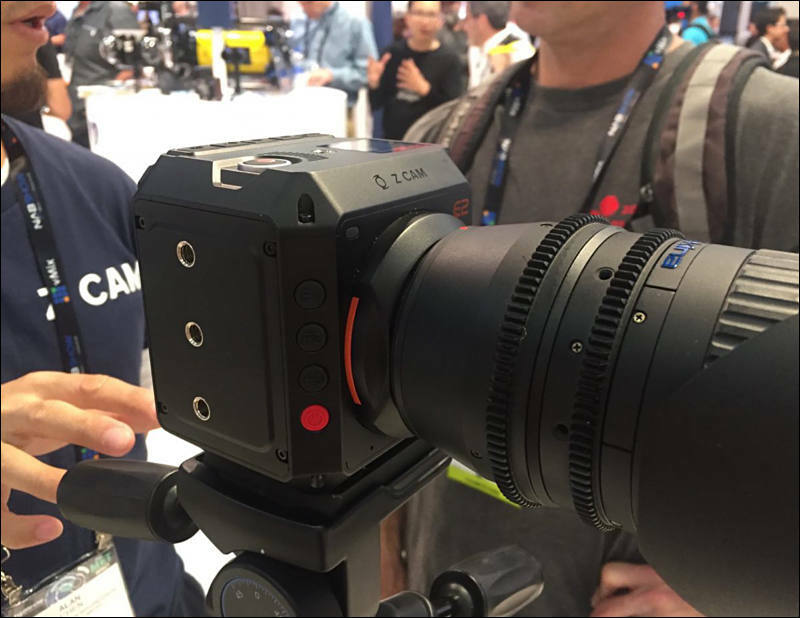 I think this sensor can compete any APSC sensor even some full frame sensors. We have E2 equipped with the most advanced ISP for color and noise reduction. To be honest, the image quality will surprise you. So it seems like MAR is a real possibility. Seems like I would be better offer with this and my GH5 rather than with my GH5 and a GH5S.... I am hoping the IOS monitoring does to have too much latency. Well, you can go buy a GH5s right now and have an excellent camera that you can use. This camera seems to exist right now as a spec sheet and a prototype which has made a couple of short videos near the Z-Cam office. I don't think they've announced general availability yet and when they do, there is no guarantee that they will hit their shipping date. Even after the camera ships, if the initial firmware is as bad as the Z-Cam E1, you will be plagued with problems until they release an update that fixes major issues (based on E1 history, this could be between 6 and 18 months). At first, no one know the time BM will be available. Second, E2 is very advanced camera made for multi camera configurations and such, not for same market. BM become plastic camera that require good cage and care, like in first BM days. E2 is military grade build. Yes, finally a MFT camera that uses NP-F batteries natively! 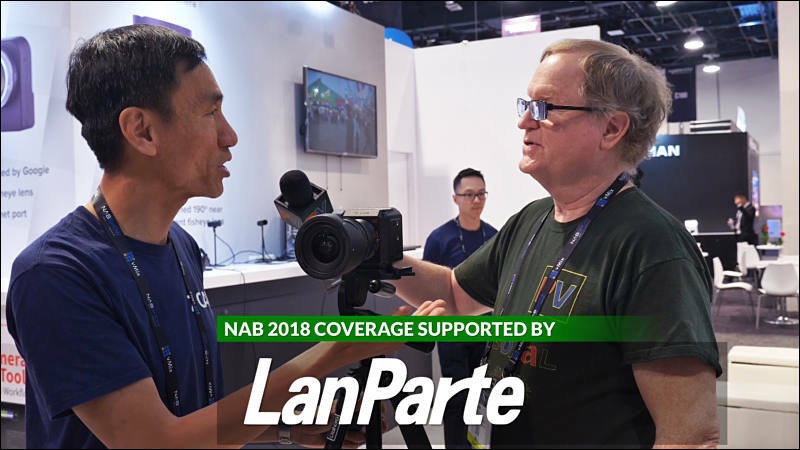 BMPCC4K doesn't have 4K 120fps! All Cameras made by BM produced a nice Image All z-Cams so gar Not so much. We will see. I do Not Trust them at all. The Last one was a rip off. But if they managed to produce a product that is finally good, i will change my mind. I am pretty shure, that companies have organic structures and a Special character. It ist pretty unlikely they changed their philosophy, if the Image coming out of this Thing is anything but horrible, it will be a big surprise. Lets see. Wow. We have quite a lot of E1 owners. And all real life usage footage I saw was fine. And this is with $199 camera. Incorrect. I saw footage direct out of the camera. Unusable. @utezet did you even see the thread here in this forum? So many arguments online about which of two unreleased cameras is better. It's unlikely anybody will have their hands on either of these cameras for about the next 6 months... and if the past for either company holds true, each will ship with cruddy bug-filled firmware initially. I look forward to seeing where both are in 9-12 months, though! I purchased (3) E1's when their price dropped at the end of 2017. Once I updated the firmware, I was able to dial in the image quality to match that of my other cameras with the same sensor. Being able to use them with my m4/3 lenses is a pretty big deal and being able to use/place them in various production situations has been great. I would expect the same, at a much higher level, from their latest offering. Nice job on the interview! I admit i saw the footage before any firmware update. Firmware was untouched. I remember the picture was somewhat muddy and dull. I did not follow any improvements. Maybe i am wrong and they fixed it. Nevertheless i am sceptical. The firmware updates improved the image quite a bit. I really hated the camera when I first received it. Now I'd consider using it for something or other. Even with a fairly mediocre image, the form factor is compelling.